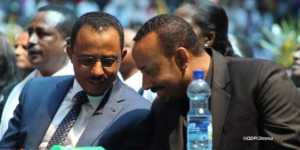 Managing Political Transition in Ethiopia: The Choice Factor, is a recent article (Addis Standard October 17,2018) by Ezekiel Gabissa that tries to situate changes occurring in Ethiopia within what had in the 90’s been called ‘the transition paradigm’, which was formulated to explain what Huntington called the ‘third wave’ of democratization taking place in the world in the 80’s. Principally then, the adoption of this paradigm was to understand countries that were moving away from authoritarian rule, and their expected journey towards becoming democratic states, starting with Eastern Europe, Southeast Asia, Latin America and some African countries in the 1980s. However, by the late 90’s the hoped for transition to democracy of these erstwhile authoritarian regimes had more or less failed, putting in to question the series of assumptions made to formulate the paradigm and indeed its analytic usefulness in understanding actual transitions taking place, leading to declarations of the end of the transition paradigm, by most scholars in the field. That being the case, one wonders why Ezekiel feels it will be a useful tool to analyze Ethiopia’s reality today. Be that as it may, I would like to make some comments on Ezekiel’s piece in the hope of creating some clarity on issues raised within the article. Though there are five core assumptions concerning what is called ‘the transition paradigm’ as outlined by Carothers, Ezekiel in Ethiopia’s case chooses instead, to use Huntington’s processes of democratization as a substitute, i.e. transformation, transplacement and replacement, to understand the transition, and essentially dismisses them all as ‘not fitting any of the modalities’. Huntington’s two processes of the democratization process i.e. the replacement model which supposedly ‘takes place when opposition groups take the lead in bringing about democracy and old authoritarian regime is overthrown’ or the transplacement model that ‘takes place when there is joint action by the government and opposition groups to promote democratization.’ does not explain the transformation taking place in Ethiopia, from an authoritarian EPRDF to maybe a gentler form of governance by the same coalition albeit with a new core leadership, as the said opposition is too feeble or almost non-existent in our case. But if we were to use Huntington’s other designation of the democratic transformation model that Ezekiel gives us, it is said the transformation ‘takes place when power holders take the lead in bringing about democracy’ where taking the lead becomes the operating principle. This scenario then seems to be quite fitting to the current transition taking place in Ethiopia, in as much as most of the initiative towards democratization is being led by the new EPRDF leadership, without denying of course the impetus for this was the mass movement in the country. This however does not seem to sit well with Ezekiel, because he wants to believe that the new leaders are not in charge of the reform process. Finding himself in a bind with Huntington, he then goes back to Carothers and uses only one of the five core assumptions of the transition paradigm, principally the ‘transitional model’ that incorporates ‘opening, breakthrough and consolidation’ to fit his own assumptions of how the actual transition is occurring in Ethiopia. Ezekiel’s other analysis based on the three categories of choice factor from René Lemarchand ‘ the nature of the transition bargain, the quality of leadership skills and the characteristics of opposition movements’ are essentially only variations to themes covered in the transition paradigm and Huntington’s model, and as such their explanatory power is limited. Though covered in this ‘scholarly’ approach to situate transformations taking place in Ethiopia, the central theme in Ezekiel’s piece to me is as follows; ‘In the Ethiopian case, the political players that matter in the transition are the incumbent government and the youth protestors known as the querro and to an extent, protestors in other regions’ (italics mine) almost repeating his friend Jawar’s assertions that there are two governments in Ethiopia, EPRDF’s and querro! Elevating a mass of youth with no known organizational structure and accountable leadership as responsible partners in negotiating a nation’s future is at best naïve and at worst a call for anarchy and is an utterly irresponsible view coming from a person who ought to know better. This delusional thought ought to be expunged from everyone’s mind if we are to have a sane understanding of developments on the ground and we are to contribute in whatever way possible to widen the political space, so we can have a conducive environment for the democratization of our country in the long run. While one needs to acknowledge the role the youth in Oromia played in finally making EPRDF’s knees to buckle, to forget the major impact of the sustained struggle of our Moslem brothers and sisters for over three years prior to the youth movement in Oromia, (in what could be considered the first serious multinational and multiregional challenge to the regime), and the broad based movement that involved tens of thousands in the Konso region, as well as the movement in the Amhara region in the overall weakening of EPRDF’s rule, is to utterly fail to understand the political dynamics that took place in Ethiopia in the past five years. Undue triumphalism by the TPLF in the overthrow of the Dergue’s regime and its avaricious appetite to control everything as the prize for its ‘singular’ contribution for the overthrow was what led us to years of authoritarian rule, and surely we can not have a repeat of this disaster. Finally,Ezekiel ought to know and understand that the underestimation of the incumbent government’s power and resolve to hold onto power, and the undue lionization of what is essentially a dissatisfied yet unorganized youth (who in the past may to a certain extent have also been manipulated to action by lower and middle level cadres of the ascendant groups and/or were card holding members of these same groups in an attempt to undermine TPLF’s hegemony within the coalition) is a dangerous recipe for disaster, and in-fact might lead to the derailment of the perceived hope for democratization to take place in Ethiopia.